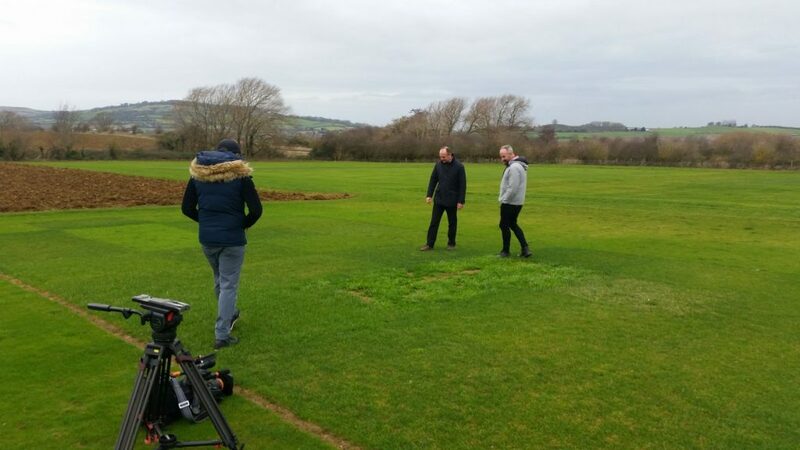 Whilst many suppliers were shutting up shop for the year, Johnsons Lawn Seed was in the spotlight with a unique feature on BBC news. The one of a kind report helped boost the Johnsons Lawn Seed brand, its world-class R&D facilities, and market-leading products. It also helped to highlight the plight of UK lawns following this year’s hot and dry summer. The feature was filmed at the company’s Tewkesbury research facility and was broadcast on New Year’s Eve. An amazing 600,000 viewers tuned in to find out just how much time and expertise goes into making Britain’s best known lawn seed. DLF/Johnsons Lawn Seed’s latest developments have included grass seed varieties with twice the number of chromosomes. This represents a jump forward in terms of drought tolerance, and the ability to grow lush and healthy lawns. Special seed coatings have also been added to aid more efficient germination, and to quickly fill in gaps. This has most recently featured as a new feature in the company’s best selling Luxury and Shady lawn mixtures. The latest technological advance from Johnsons is Super Smart Lawn Feed. This is a lawn feed made up of of beneficial bacteria, seaweed extract and mycorrhizae. A revolutionary new product, the company expects Super Smart to sell particularly well as homeowners look to resurrect their grass from the harsh conditions of the previous year. To find out more about Johnsons Lawn Seed and its products, visit http://www.johnsonslawnseed.com, email info@johnsonslawnseed.co.uk or telephone 01386 791113.